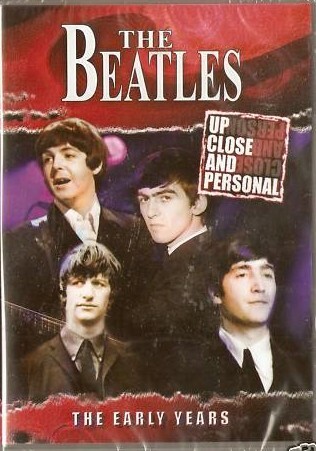 THE BEATLES...UP CLOSE AND PERSONAL THE EARLY YEARS...THIS DVD HAS INTERVIEWS WITH PETE BEST..ORIGINAL DRUMMER...AND NORMAN SMITH SOUND ENGINEERR FROM 62-66..THIS HAS RARE RARE FOOTAGE OF THE BEATLES IN CONCERT AND IN TV STUDIO. This entry into the UP CLOSE AND PERSONAL series focuses on the Beatles. The considerable talents of John, Paul, George, and Ringo are discussed and analyzed, and the long-term influence of the band is reviewed. Featuring candid interviews and first hand accounts from friends and industry insiders, as well as musical highlights throughout the bands' career.